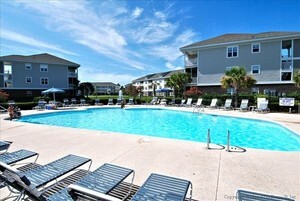 The Ironwood complex is a very popular choice at Barefoot Resort. These 2 & 3 bedroom condos offer spacious layouts and the ultimate convenience, putting you just minutes away from some of the South's best championship golf, shopping and restaurants. 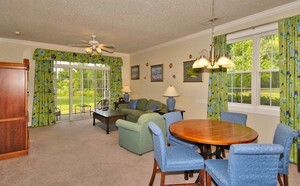 Each condo has a screened in patio, most overlooking the lush fairways of the Barefoot golf courses. Within Ironwood, there is an outdoor pool, BBQ grill area, volleyball, tennis and basketball courts, and residents and guests also have access to the main pool at the North Tower (largest in all of SC!) and the oceanfront amenity center. There is also a free beach shuttle during the summer months for added convenience.